Perhaps you’ve heard of Elmhurst? It was a New York City dairy for more than 90 years, but they closed their doors for a big transition. 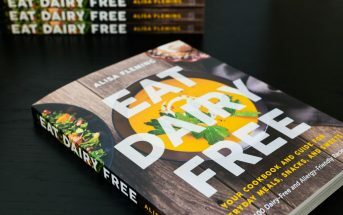 Last year they re-emerged as a completely dairy-free company that now “milks” plants! 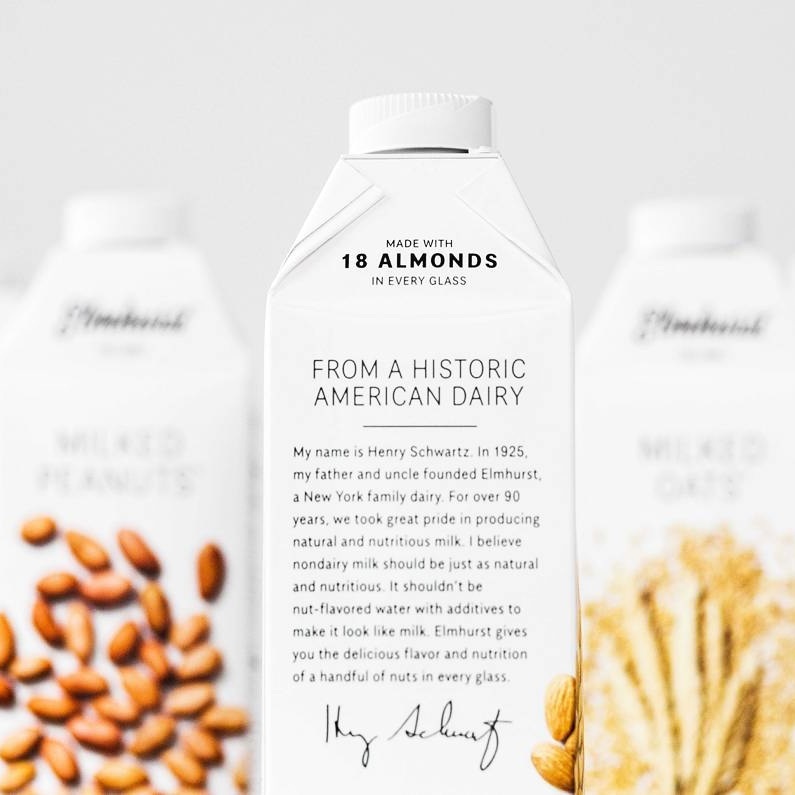 This product line 180 has resulted in several cool milk beverages, including a full range of nut milks with very pure ingredient lists. They’re known simply as Elmhurst Milked Nuts. 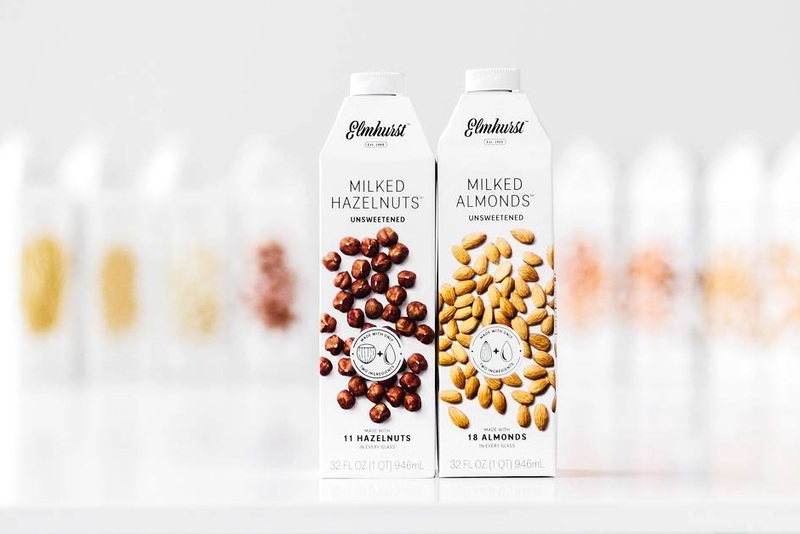 Elmhurst Milked Nuts are some of the “cleanest” milk beverages on the market. 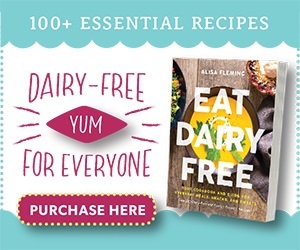 They contain just 2 to 6 ingredients, depending on the variety, and are free of industrial stabilizers, emulsifiers, carrageenan, and other and gums. They also use more nuts per batch than most competitors. This results in richer fat contents, about 10 to 11 grams, and higher protein counts, about 3 to 6 grams, per cup. To date, I’ve only sampled one Elmhurst variety. But I will update this post as we taste-test more. And as always, kindly share your own review of the Elmhurst Milked Nuts in the comments. It helps us all! This is the closest to homemade cashew milk that I’ve ever tasted from a package. It’s lightly sweet with a pure cashew flavor. The consistency is slightly rich and creamy, but still quite drinkable. It does have a rustic vibe with a bit of a powdery finish. 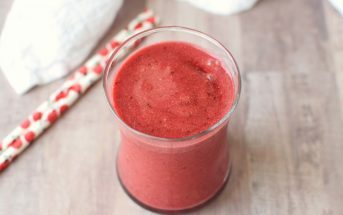 If you are used to homemade nut milks, then this won’t be surprising. 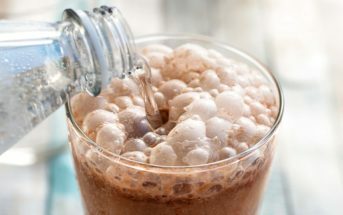 But if you are accustomed to more processed milk beverages, it might seem a little less smooth. Although this variety contains just a wee touch of sugar (2 grams per cup), it’s a little too sweet for savory applications. I’m hoping they come out with an Unsweetened version of the milked cashews. Price: Elmhurst Milked Nuts retail for $4.99 to $5.99 per 32-ounce carton (1 quart). Availability: Elmhurst Milked Nuts are shelf-stable until opened, so you can buy them online via the Elmhurst website (below) or on Amazon. Certifications: Elmhurst Milked Nuts are Certified Kosher. 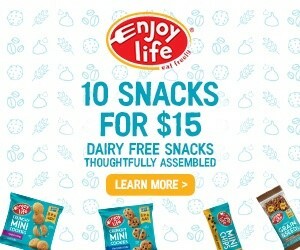 Dietary Notes: By ingredients, Elmhurst Milked Nuts are dairy-free / non-dairy, egg-free, gluten-free, grain-free, soy-free, vegan, plant-based, and vegetarian. But check with the company on their manufacturing processes for all varieties if potential allergen cross-contamination is an issue for you. Processes and labeling are subject to change at any time for any company / product. For More Product Information: Visit the Elmhurst website at elmhurst1925.com. I just tried to be dairy free one week and so I went to my local Stop and Shop where I saw the Elmhurst Cashew Milk. 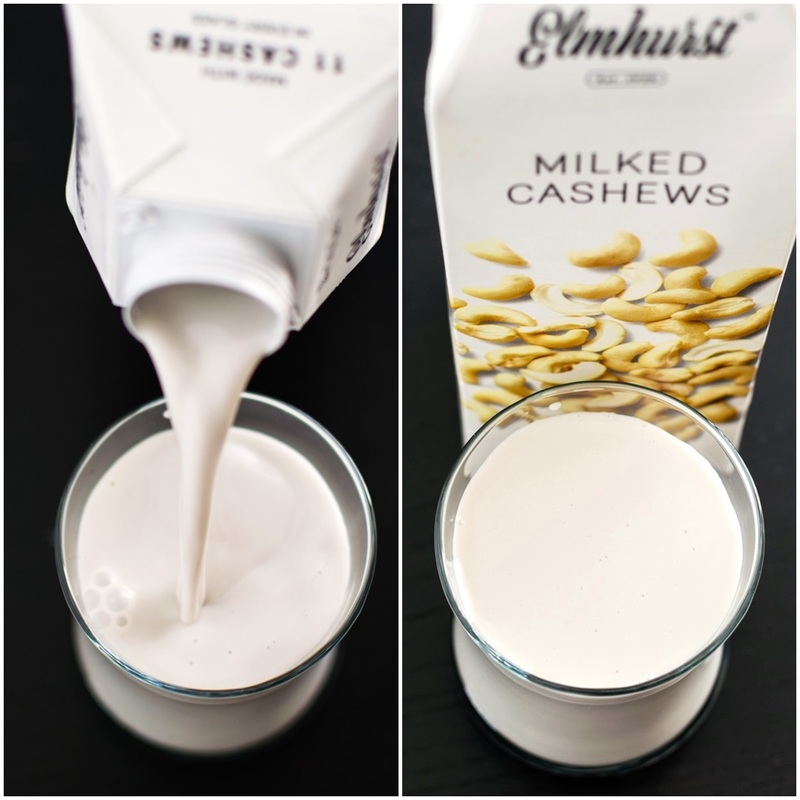 After that I tried many different brands of cashew milk from Trader Joe’s, Silk, and Almondmilk but nothing really compared to the rich flavor of the Elmhurst brand. I’m so glad I found it. I just bought 3 varieties at Publix and I think these are heavenly. I just drank a glass of cashew milk without all kinds off additives. Calcium Carbonate? No thanks. These are absolutely delicious with pure ingredients. Amazing. Publix sells them for only 3.99! That’s great! Thanks for sharing this. I’ve never heard of this company! Now I’m so curious to try it. It is such a neat transitional story. I think you’ll like it Whitney – very wholesome. The oat milk tastes exactly like plain oats. Neutral and very lightly naturally sweet. Not my favorite simply because I like other milks a lot more, but it was good if oat milk is your thing. Powdery finish. The chocolate peanut is amazing, awesome warmed up as hot cocoa. I will be buying that one ocassionally. Thanks for sharing your thoughts on the product Jane! 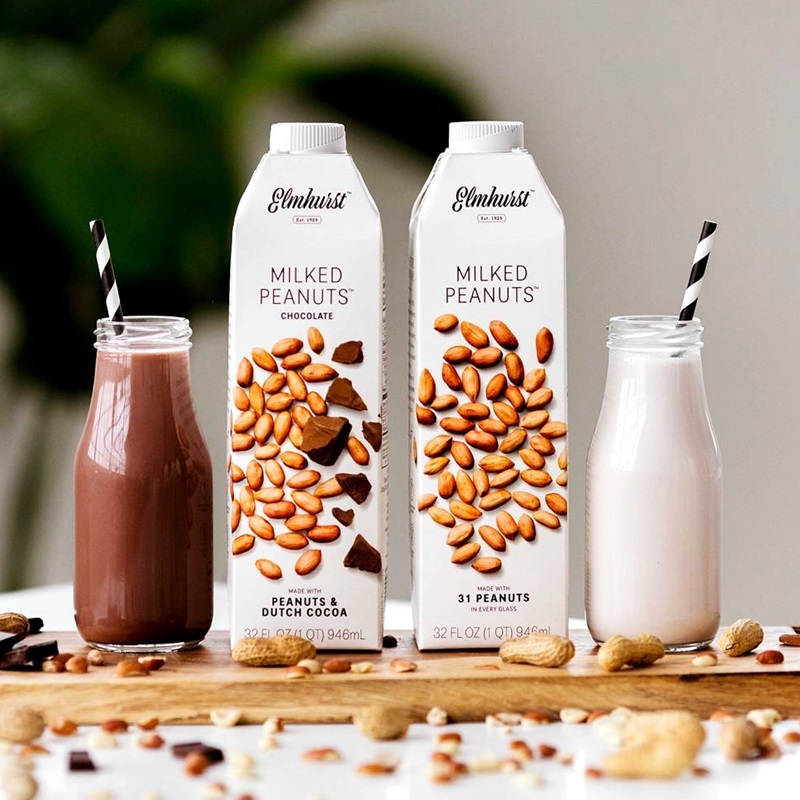 I tried the peanut milks at the Fancy Foods Show in January, and they’re both winners! 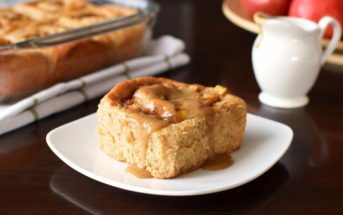 Super sweet, creamy; kids will no doubt love them. The chocolate variety is like a liquid peanut butter cup. ooh, good to know! Thanks Hannah – I’ll make sure to try them.